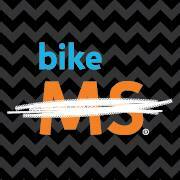 2015 marks the 31st anniversary of Bike MS for the Oregon Chapter of the National MS Society! Bike MS is a fun-filled weekend of cycling, entertainment, and community. With a variety of routes each day, the ride is appropriate for cyclists of almost every level. In addition to the fully-supported ride, festivities include delicious meals and beverages (adult beverages included), live musical entertainment, free massages, and field trips for those who choose to forgo the ride and stay back at camp. Bike MS is generously hosted by Western Oregon University in Monmouth, Oregon. The University provides many options for out-of-town riders and volunteers, including free camping and RV space, as well as dorm rooms for a nominal rental fee. For many of us, Bike MS is our favorite weekend of the year and we look forward to it all year just like children waiting for Christmas. Learn more about the upcoming Bike MS ride.